SHANGHAI -- The story that got Wang Xiaolu arrested appears to have checked out on the facts. 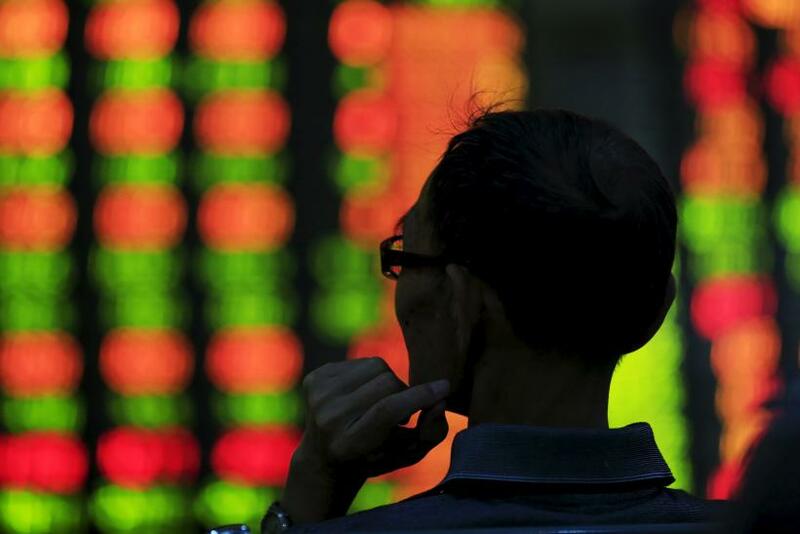 In July, as shares on China’s stock markets plunged, sowing global panic, the veteran financial writer reported that the authorities were considering pulling back from propping up share prices. Two months later, that spectacle appears to have delivered its intended result, sowing alarm among China’s financial journalists and prompting many to avoid reporting on subjects that had previously been seen as fair game, several writers told the International Business Times. While journalists landing in trouble for breaching the party line is hardly new in China, Wang’s case has resonated as an indication that that line itself has shifted: Now, even financial and economic news constitute potential danger zones, alongside coverage on human rights and the wielding of Communist Party power. This represents a shift whose ramifications could be felt far beyond China, as anxious investors seek to understand the scope and consequences of the slowdown in the world’s second-largest economy. In the decades since China began embracing market reforms -- constructing stock markets, courting foreign investment, and tying its fortunes to the vagaries of global trade -- a loose understanding took root within the growing ranks of China’s journalists: Stories that challenged the dictates of the ruling Communist Party courted danger, but those digging into the operations of companies and financial markets were generally safe. Such coverage appeared to have the tacit approval of a government that recognized that reliable information was a necessary commodity in an age increasingly influenced by markets. Among Chinese journalists and market-watchers, the Wang case has been absorbed as a sign that the terms of that understanding have been redrawn, prompting writers and editors to pull back on their coverage of China’s markets. Some suggest that a frightened financial press could undermine the flow and quality of information, just as China’s markets and financial sector are becoming more connected to the outside world. 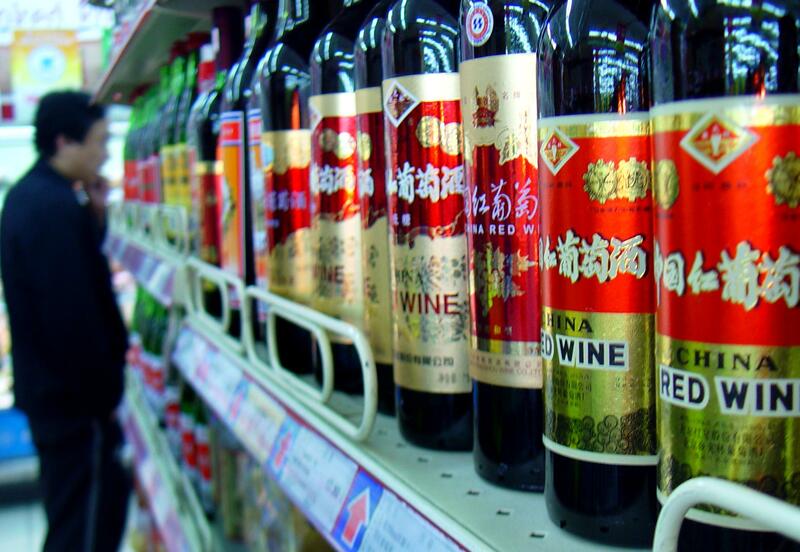 More broadly, Wang’s public shaming is being taken as another sign among many that the party may be reconsidering its commitments to greater market forces as it grapples with a slowing economy. Some Chinese media insiders have speculated that Wang’s detention was the result of a power struggle between government departments. But David Bandurski, of the China Media Project at Hong Kong University, said his arrest appears to have been specifically designed to send a warning to journalists to exercise caution in their coverage of the markets. The fact that Wang confessed to having obtained information through “inappropriate channels”, and to having negatively impacted the market “at such a sensitive time,” shows that his detention was “not about facts, but about sensitivity,” he argues. Wang’s employer, Caijing magazine – one of China’s first commercially-funded media publications, which led the way in pushing for a more open financial media in the late 1990s – stood by its reporter, issuing a statement that said it would always “support in depth accurate and objective reports,” and, unusually for such a case in China, the original story remains on itswebsite. But the Chinese authorities, Lam said, weighed down with a triumvirate of economic turmoil -- stock market volatility, foreign alarm at the devaluation of its currency and a slowdown in growth -- are determined to convey an “impression of unity.” The government is intensifying what Lam says has already been a “tougher line on the media” under President Xi Jinping than his immediate predecessors. On one level, it seems to be working. Wang’s detention has been accompanied by more cautious reporting of the stock markets in the Chinese media. And the government has also issued directives calling for positive reporting on the country’s economy, which has seen sharp falls in exports and imports in recent months. And it’s a shock that's not only alarming current professionals, but could also “stop some young people becoming journalists,” said the young financial reporter, who has witnessed many young Chinese media students who are more tempted to go into public relations and marketing than face the pressures of working as a journalist. A drying up of idealistic young journalists would only add to the Chinese media’s current problems. Even before Wang Xiaolu’s arrest, several other cases had already sent a chill through the profession: two years ago Chen Yongzhou, a reporter from a popular newspaper in southern China appeared on TV confessing to having taken bribes from a company to write negative stories about its rival – and was eventually jailed for a year and ten months. And last year Shen Hao, a well-known journalist seen as a pioneer of financial reporting in China, was arrested for corruption at independent business publication 21st Century Business Herald – he and some 30 other journalists were formally charged in August. While corruption is acknowledged by journalists to be a problem in sections of China’s financial media, legal specialists also raised concerns about the treatment of those arrested in these cases, and many saw them as designed to warn journalists off bold reporting. An investor walks past an electronic board showing stock information at a brokerage house in Nanjing, Jiangsu province, China, Sept. 22, 2015. Photo: Reuters/Stringer Combined with growing financial pressures, as traditional media have been hit by the increasing challenge of the internet and social media, many experienced journalists have been quitting the profession to go into business or PR, the financial reporter said. These trends, he added, have already damaged the quality of journalism in China’s more market-oriented media. A case in point is the Southern Weekly, the Guangzhou-based newspaper that established the idea of investigative journalism in China, and won national popularity with its exposes of local corruption around the country in the 1990s. Editors were frequently sacked, but somehow the paper always bounced back. Equally worrying, he added, is the fact that many other media “don’t have in-depth special features departments anymore. 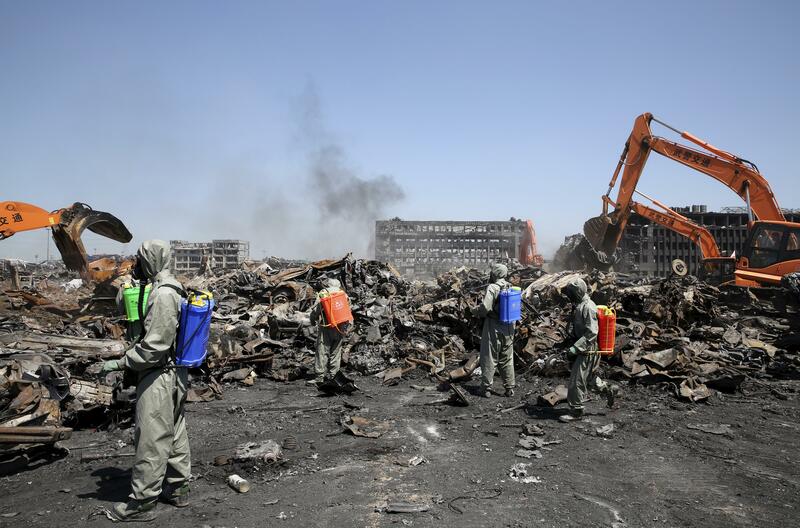 There are just lots of young reporters writing short stories.” He pointed to the huge explosion at a chemical warehouse in the northern city of Tianjin in August, which killed 173 people. While some journalists rushed to the scene, and initially tried to get to the bottom of whether corruption or official negligence were to blame, attention was soon diverted elsewhere. Yet not everyone has given up. Even in recent weeks the Chinese media has shown that it’s not been completely neutered. It has generally followed the official line on major affairs of state, such as coverage of President Xi Jinping’s recent visit to the U.S., but there have also been reports on workers' protests and factory closures, stories questioning the official version of a case of forced relocation in which a villager died, and editorials criticizing the government’s new regulations for ride-hailing apps. Chinese authorities have increased media restrictions on several occasions in the past three years. 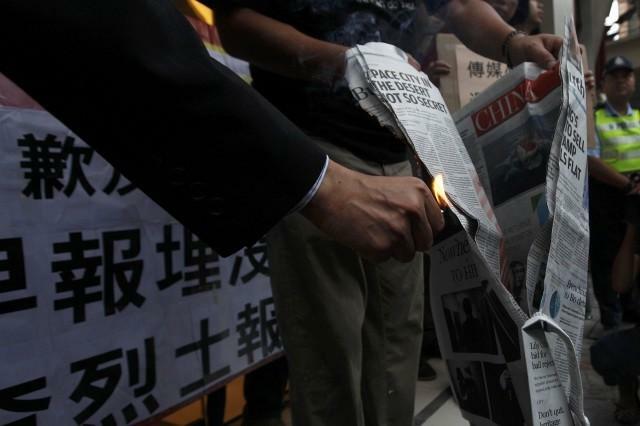 Photo: REUTERS Indeed, some still see online media as providing a new alternative for Chinese journalists. Despite controls, “there’s a lot of space online,” says a former state media editor who is about to launch an online video chat show, hosted by a private web operator, in which he will discuss business issues. Such “self-media” have become increasingly popular outlets for Chinese media veterans frustrated with the limits of working in the mainstream media. Several former editors are now using this means of reaching an audience – as are pop star turned popular current affairs pundit Gao Xiaosong, and economist Wu Xiaobo. “It gives them a platform as an independent intellectual,” says a TV professional. “They can talk about the economy or current affairs. And they’re smart – they may not talk about official policy directly, but people who know about these things will understand what they’re saying. Certainly there is still money flowing into online ventures, including a new online news channel and app with the bold name of ‘Wu Jie’ or ‘No Frontiers.’ It’s been set up by staff of Caijing magazine, with investment from Jack Ma, the billionaire founder of Chinese e-commerce giant Alibaba. Observers says it’s aiming to compete with The Paper, an online news platform launched by Shanghai’s official newspaper group last year, which is edited by younger journalists and focuses on social, economic and cultural stories – including local government abuses and miscarriages of justice. “This is the contemporary equivalent of the old Southern Weekly,” says one journalist, optimistically, suggesting that The Paper’s relatively small elite audience of intellectuals means the government will give it greater leeway than mainstream media like state broadcaster CCTV. Alibaba’s Ma has also invested nearly $200 million in China Business News, a Shanghai-based group which operates a TV station, magazine and newspaper targeting the country’s business community. Some observers believe this is just the beginning of greater commercial investment in China’s media, which would boost its financial strength. And there’s no question that the government still sees the media, and Internet, as an area of economic growth – last year President Xi called on the country’s main state media groups, such as the People’s Daily and Xinhua News Agency, to invest in building up their online presence. At the same time, the growing development of official media online is seen by some as a way of consolidating official control on information, in an era where the Internet has brought a much greater diversity of voices to Chinese readers. And the young financial journalist believes that if self-media and other new social media platforms – such as closed members’ groups on social media site WeChat, which have become a popular way for journalists to share information – continue to develop, more controls are likely to follow. Willy Lam of the Chinese University of Hong Kong says with the government grappling with a slowing economy, the last thing it wants is aggressive media scrutiny.